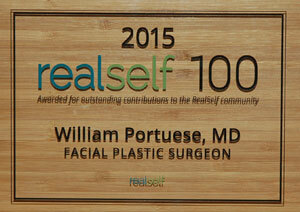 Dr. William A. Portuese is board certified by the American Board of Facial Plastic and Reconstructive Surgery and by the American Board of Otolaryngology, Head & Neck Surgery. He is a Clinical Instructor in both the Department of Otolaryngology, Head and Neck Surgery, and the Department of Plastic Surgery at the University of Washington and is the author of numerous publications in his field. 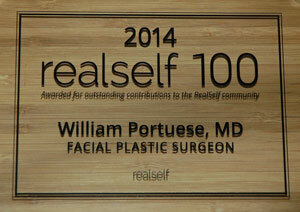 He is also the current president of the Washington State Chapter of Facial Plastic Surgeons. 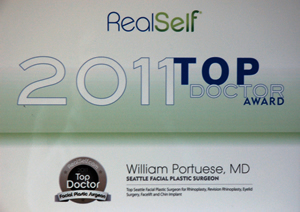 He has been in private practice in Seattle for over 20 years. 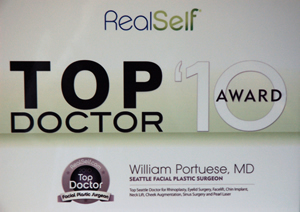 Bill Portuese sees eyelid surgery patients from Seattle, Bellevue, Tacoma, Spokane and outside of Washington including Portland Oregon. Call today to schedule a consultation. 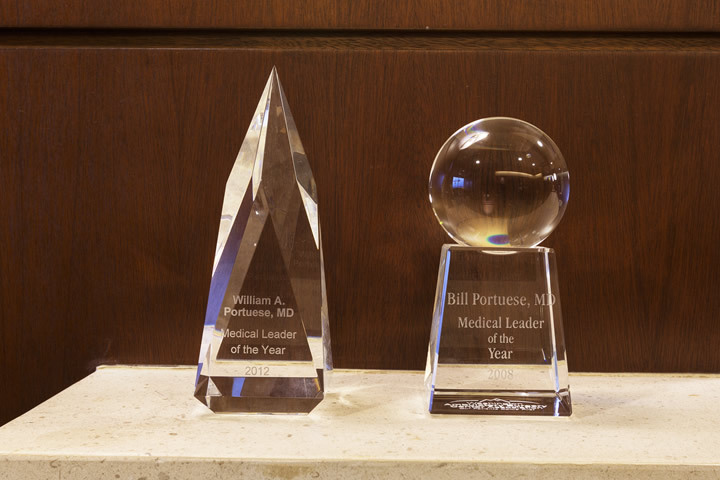 CURRICULUM VITAE – William Anthony Portuese, M.D. Infantile Myofibromatosis: A case report and literature review. Anatomy of the temporal branch of the facial nerve. The Perichondrial-Cutaneous Graft: An Alternative in Composite Skin Grafting. Submitted for publication in The Laryngoscope. The Perichondrial-Cutaneous Graft: A Laboratory and Clinical Review. New Orleans, Louisiana, November 1988. Received first place in Resident Category Presentation. The Perichondrial-Cutaneous Graft with Eyelid Reconstruction. Propofol: A New Intravenous Sedative. Experience with 300 cases. 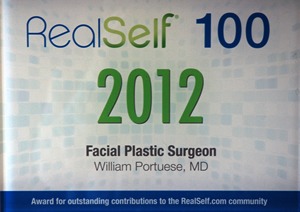 Presented at the Spring Meeting, Hawaii, American Academy of Facial Plastic and Reconstructive Surgery, May 3, 1991. Submitted for publication in the Archives of Otolaryngolgy. Revision Rhinoplasty and the Difficult Nose. January 19, 1996, Whistler, British Columbia. Revision Rhinoplasty Through the Closed Technique. January 19, 1999, Whistler, British Columbia.